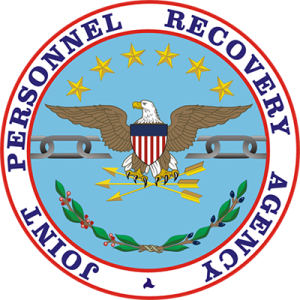 The Joint Personnel Recovery Agency (JPRA) is a Controlled Activity of the Chairman of the Joint Chiefs of Staff. JPRA’s mission is to enable commanders, forces, and individuals to prevent, prepare for, and respond to isolating events involving U.S. personnel. 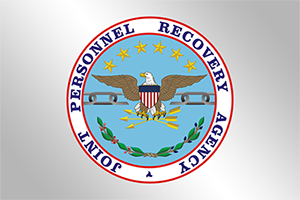 Personnel recovery is the sum of military, diplomatic, and civil efforts to prepare for and execute the recovery and reintegration of isolated personnel. Personnel recovery preserves our commitment to respond to isolating events in order to “leave no one behind” and save lives across the range of military operations. An isolating event is an incident wherein persons become separated or isolated from friendly support and are forced to survive, evade, resist, or escape. This mission brings the imperatives of defense into harmony with the values of democracy. To support its mission effectively JPRA requires timely and effective support of its information technology infrastructure, including networks and telecommunications in a secure and top secret environment. Ventura provides the full range of IT support and Program Management for JPRA’s mission and supports networks and telecommunication up to the Top Secret/SCI level, technical IT support services to maintain the JPRA IT network, and telephony enterprise support. Support the Agency directly in ensuring that the cybersecurity (formerly known as IA and C&A) postures are compliant. Provide the artifacts for all accreditations, and upload them to eMASS; ensure that as configurations change, they are recorded and accreditation is kept up to date. Coordinate with USCYBERCOM, DISA, and vendors to ensure compliance with all TASKORDs, FRAGOs and IAVUM. Coordinate with DISA and Security on incidents and threats. Manage the network in compliance to NIST controls per SP 800-53 and maintain a proactive patch management system. Maintain all network, system and application documentations, including all configuration documentation, as-built drawings, manuals, and other system documents. Maintain the formal configuration repositories and developed a knowledge base system to improve efficiency and speed issue resolution. Manage the Agency’s help desk and provide Tier I, II and III support. Ensure that thousands of units of JPRA property are strictly controlled, particularly in a multi-classification environment. Support for the JPRA Continuity of Operations Plan program including maintenance and testing of a failover COOP site. Maintain documentation, exercise support, and input on improvements to the COOP and other emergency response procedures. Testing failover and recovery of all key systems including both, mission critical systems and business items such as voice mail applications and shared drives. Manage all aspects of the infrastructure for the Hot Backup Site, including security, patch management, storage management, and capacity planning. Provide detailed project plans, schedules, resource requirements, detailed BOMs, and cost estimates for all projects assigned and assists JPRA in obtaining and maintaining authority to operate for all current and new systems. Conducted market research and feasibility study to determine the various courses of action for replacing the existing Issue and Problem Management solution. Assisted JPRA in negotiating credit for an upgrade to the current version as part of the addition of licenses for this technology. Within a very short time frame, Ventura has established a very effective partnership with JPRA, significantly improving operations, reducing the number and impact of issues, improving performance, and reducing costs all through assisting the Agency in advancing the maturity of their processes and IT Service Management. Implementing rigorous Configuration Management which has reduced incidents and lowered response time. Leveraged DoD available assets to upgrade the toolset and IP-based video and teleconferencing at little to no cost to the Agency while saving over $300K per year in sustainment costs. Mapped the IT decision process to JPRA’s mission and business needs. Established an ITIL based continuous process improvement environment.